ECO-SYS ACTION fights for the protection of threatened species and habitat by helping communities establish environmentally sustainable solutions in which conservation is more profitable than destruction. 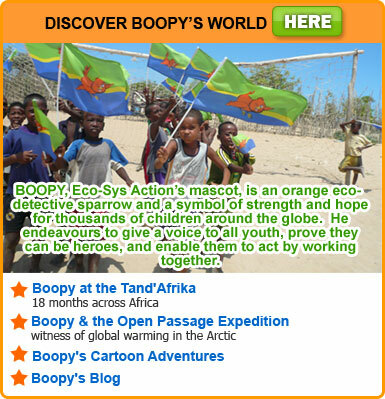 ECO-SYS ACTION endeavors to employ adaptive and innovative solutions without creating dependence. 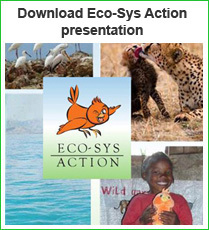 ECO-SYS ACTION also assists organisations who prioritize educational, social, and economic projects with populations living in important zones of biodiversity. An important project is planned in China and India to accompany Chinese and Indian youth in an environmental movement increasing awareness of the impact that their countries have on the ecological future of our planet. These youth will then be prepared to become leaders in world conservation with positive effects in their own countries as well as the rest of the world. © Eco-Sys Action. All rights reserved.